Event are a great way to promote navcoin to the public and build stronger community connections in your area. Where you host it and how you promote your event will all depend on the type of event you are running. Once you know exactly what your event is, write a little description about it on the NavHub website and share it around our community channels. 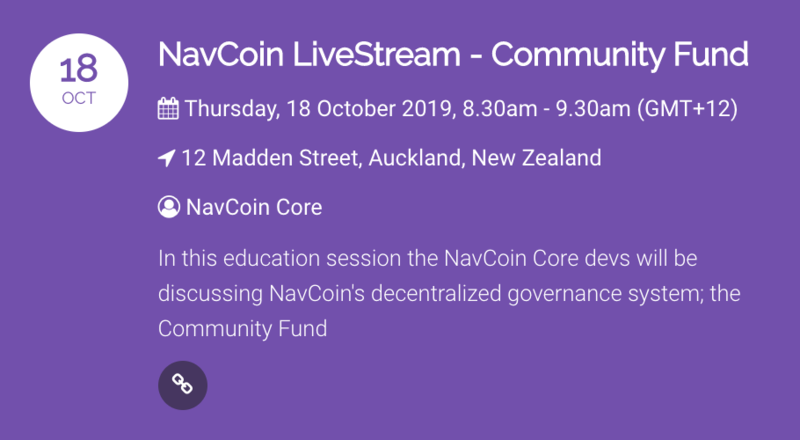 You can see the full list of NavCoin events here, and here is the guide of how to create an event on navhub website, cointinue to read about what kind of event you can organize. There’s no easier way to get to know your local NavCoin community than by putting on a meetup at a bar/restaurant/cafe. A great way to do this is to reach out to other members in your area and organise a time/day, and someone convenient for everyone. Planning ice breakers can go a long way to making everyone feel welcome, and feel free to take photos to share with the community! The best ideas are developed together. By organising a whiteboard session or an online discussion, you can all focus on a specific goal/problem and develop ways to reach/fix it. This could be anything such as the future of NavCoin, ecosystem development, trading, technology, merchant adoption, advocacy, or a bug fixing session etc. Letting the community know about crypto conferences/meetups is the easiest way to connect with your fellow NavCoin enthusiasts - as well as getting to know the wider crypto community. It’s an opportunity to learn what others are doing well, and bring those experiences back to the NavCoin community. Adding these events to NavCoin lets others know that you will be attending, and creates an opportunity to meet up. As well as being able to talk to others about NavCoin! Share your knowledge and explain how things work in easy to understand ways. This could be making tutorials or explaining how things work. Always make sure to collaborate with your attendees - to make sure that you find a suitable time and location. If it helps, then setting up a mailing list, or some way to contact your local NavCoin community makes it easier anytime there is an event. When considering the location of the event, look for a comfortable, flexible space that can fit the number of participants you expect. Be creative - cafes, bars, community centers, co-working spaces, libraries and hacking spaces are great starting points. And ensure that the location is suitable and has what you require - whether it’s a certain size table, a whiteboard, or even just the right atmosphere. You won’t need a physical location at all if you are organizing an online event. But there are things to keep in mind - such as a reliable internet connection, clear sound, and good lighting in the room. As mentioned above, being a global community can make it tricky to arrange a time that suits a lot of people, but do try to take that into consideration. You also need think about creating a google hangout, or youtube live stream link for the community so that everyone knows where to go. Help make it an enjoyable event by creating a welcoming, and creative space. Introduce people to each other, bring snacks/drinks, and plan some ways to get to know each other and how you all got into NavCoin. Be sure to create an event on Meetup.com or Facebook so you can share links to invite others. Create an event card on NavHub and share your links on other our community channels will help make your event more visible. When you are hosting a location-based event you could send the event details around your local crypto community, as a way to target newcomers. If you are hosting a bigger event like conferences or workshop, you might need some budget to make it happen. 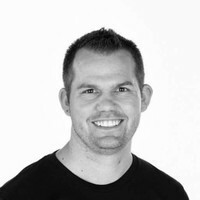 You need to list out the Guest speaker, book a space, and align the budget to your actual needs. Consider creating a proposal in the Community Fund to help out with the costs. Copy the template below to the index.md you just created. Well done! You just created you event card on NavHub! 1. If you think you have a greate idea and wish to delivery a major improvement to to the NavCoin ecosystem, it would be greate to communicate with other NavCoin members,and submit your idea to the Discord Events Channel.